If you have read any of the preceding Robicheaux novels, all 18 of them, then you know exactly what to expect with Creole Belle. 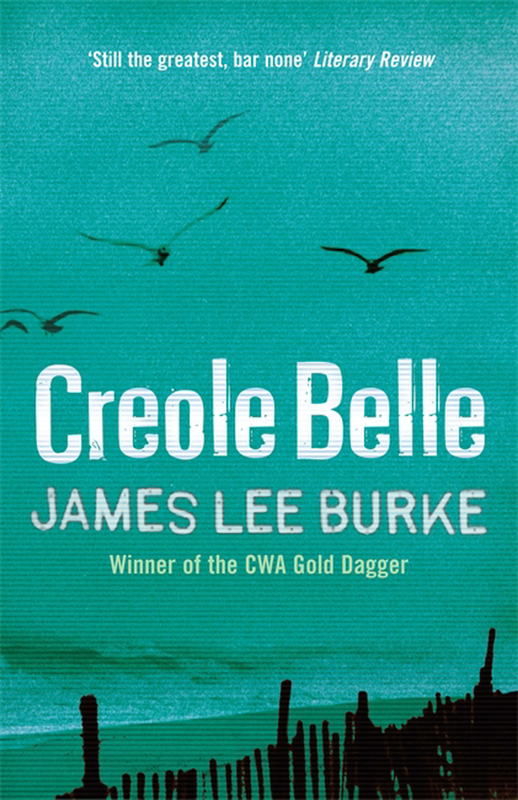 James Lee Burke delivers more of the same; the heady scents and authentic sense of Louisiana in all its natural beauty and unnatural cruelty; the bull in a china shop rage that Clete Purcel personifies and which Robicheaux strives to supress; the conflict of tangled loyalties to friend, family, workmate and state; the need to do right by life’s victims. Add to that already complicated mix Dave’s eternal battle with his own righteousness and his own weaknesses – in this instance, set against the back drop of the oil spill which followed Katrina in visiting yet more hardship on the people of the bayou and New Orleans. The spur to the story is, as in previous episodes, a poor young woman in trouble. Robicheaux is a crusader and he willingly flings himself against the mighty machinery of every oppressor he runs up against. As usual, the bad guys are rich, white, modern-day inheritors of the slave plantations who live in rambling old mansions shaded by live oaks, and who prey on the weak and the poor and those they can abuse or profit from. Their sleekly pampered women are beautiful and dangerous; seductive and ambiguous. Their crimes are many – but most of their activities fall well beyond the scope of a sheriff’s deputy in New Iberia parish. That’s until a dead body turns up in the swamps; a frozen dead body of a missing girl. JLB hits every beat of the best Robicheaux investigations in this novel. The plot serves simply as a backdrop to his ongoing discussion of a series of themes about the southern States, the nature of the country, of man’s exploitation of the weak. In this episode it’s sparked into new life by the arrival of Gretchen, a spiky young woman who may be Clete’s daughter. She may also be a ‘button man’, a mobbed-up contract killer. And she may also have paper to serve on Dave’s family and friends. Gretchen enlivens the already rich cast of characters; her sharp edges and blunt manner serve as a perfect contrast to Robicheaux’s daughter who, truth be told, is always a little too good to be true. Similarly, Molly – Robicheaux’s latest wife in a seemingly endless series of disposable domestic partners – seems to serve no purpose. She highlights when Robicheaux’s behaviours are veering wildly towards the delusional, but their relationship is one of the few in the book which feel paper-thin. Far more robust are his tangled interactions with Clete and Helen Soileau (the sheriff, his boss) whom he aggravates, exploits and depends upon… and for whom he would willingly die. Creole Belle is soaked through with the authentic smells and sounds of the South, from the beignets at Café du Monde to the shrimp po’boy sandwiches and the misty paddle-steamer which may one day take Clete and Dave on their final boat ride into the electric mist. It’s also a damn fine crime thriller in its own right, racked with fights and sudden episodes of extreme violence which emphasise how thin the veneer of civilisation may be in some cases. There is, however, nothing new in this book. JLB has written it all before; Clete and Dave have done and said most of these things before (although seldom while carrying an AK-47). If you adore the world of Bayou Teche, the seedy backwaters of Louisiana, and exploring the best and worst of a man’s character, then there’s plenty here to drift away with for a couple of days. If you’re seeking the thrill of the new, then maybe y’all should keep on looking. Me, I relish JLB’s absolute ability to transport me to another world, and fill it with an intriguing mystery and utterly compelling characters. For as long as he goes on writing Robicheaux novels of this standard, then I’m happy to return to Iberia parish – hoping that the Bobbsey twins from homicide can beat the odds stacked against them once again.